Ministry of Propaganda - 26/Feb/2006: "Sunday Canal and Pub Walk"
After spending most of last weekend on cleaning and working on the travelogue it was time for another walk this weekend. The weather as well as the forecast didn't look too promising when I got up this morning, but both improved during the day. Having been on several walks described in walking magazines already this year I decided to turn an idea for a walk I had myself into reality. I drove to Wootton Rivers near Savernake Forest and started walking west along the Kennet and Avon Canal. It was quite fresh with a very cold wind blowing initially. At first it was fairly cloudy, but later the sun came through and it got warmer in the winter sunshine. Large sections of the path were quite muddy and badly churned up, partly through runners who must have raced here (I saw a sign '1000 runners will pass through here from 10:30 to 11:45', not sure how old the sign was though) and partly through participants in what looked like a fishing or angling competition. I gave up counting after a while, I think I passed at least 30 or 40 men (don't think there were any women) with their angling equipment all laid out, looking quite professional. Not sure if and how much they caught though. 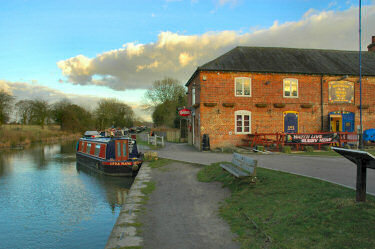 After just under an hour I arrived at The Waterfront, Pewsey Wharf. 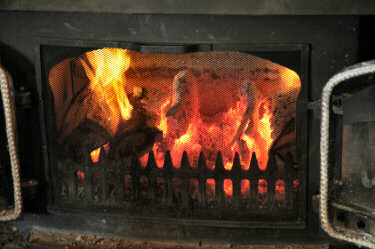 I went in, bought a pint of Abbot Ale and a packet of crisps and sat down in front of the open fire. The rugby was running in the background, although I didn't really pay attention as I got talking with a some other people who asked me where I had walked from. We had a nice chat before after 45 minutes it was time to leave and start heading back. 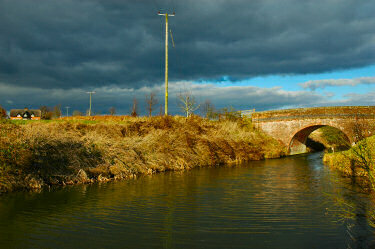 For the way back I initially followed the canal again before crossing it at Pains Bridge. I walked up to Sunnyhill Lane, which I followed until turning off towards West Wick. Past Broomsgrove Farm and Rook Grove I cut over to Clench, from where it wasn't far to Wootton Rivers any more. After just over an hour and with the last light I arrived back at my car. A nice walk which can quite easily be extended for a repeat during the summer, e.g. by walking up to Oare Hill or Martinsell Hill and returning to Wootton Rivers via the Tan Hill Way, Mud Lane and East Wick.